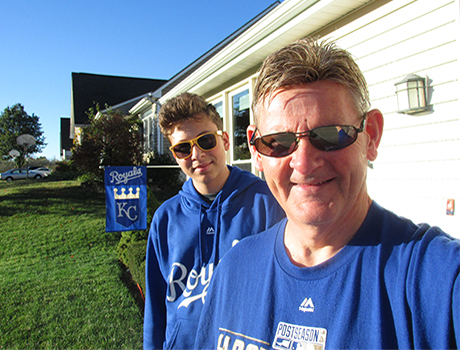 Daniel takes a break from volunteering to celebrate the Kansas City Royals— World Series champions! I have hosted 20 exchange students, and I am so impressed with Daniel. There is never a time that he does not have a gigantic smile on his face! Daniel has performed over 60 hours of community service thus far, and he wants to continue. He delivers meals once a week to elderly citizens and works every Thursday after school at the local thrift store. Daniel has also given presentations on his home country to his school classes and the Kiwanis Club. When he tried out for the high school basketball team, he did not make it. I was concerned that this might disappoint him, but as one of the teachers said, Daniel's positive attitude is infectious. He says that now he has time for other activities!